15 Tracks with a total running time of 57 min. It doesn’t happen often, but it does every now and then. There are those soundtracks that hook me after the first listen, but then there are those rare ones that get me within seconds of hitting the play button. 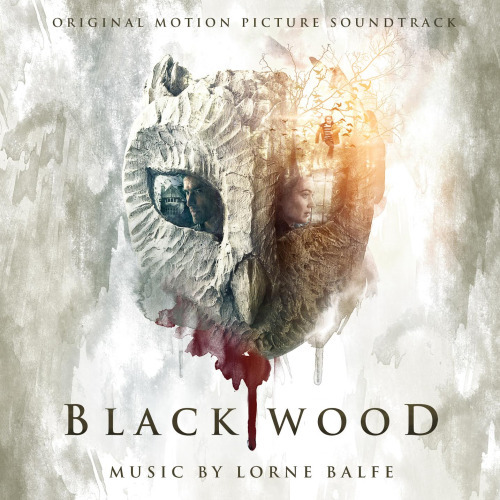 Lorne Balfe’s score for Blackwood is one of those. Okay, so I am a sucker for ghost stories, which is what this movie is about. Never seeing it, or even hearing about it before this score arrived, I was immediately curious. But once the music started, with a beautifully haunting organ, then with a slow and eerie sound of some strings, it set the mood right away. Balfe has created one of those scores that is beautiful, sad, haunting, and creepy, all at the same time. That is talent. Most of the score seems to be just piano or organ, along with a variety of string instruments, and for the most part are slow and moody. There are a few that have a little faster pace, such as #9 Paying a Visit, but for the most part, it is a nice relaxing score, one that is perfect for a nice quiet evening at home, working on the computer or reading your favorite book. It just breathes atmosphere. Composer Balfe is a new name for me, but who’s work I will be looking more into. Highly recommend this one.